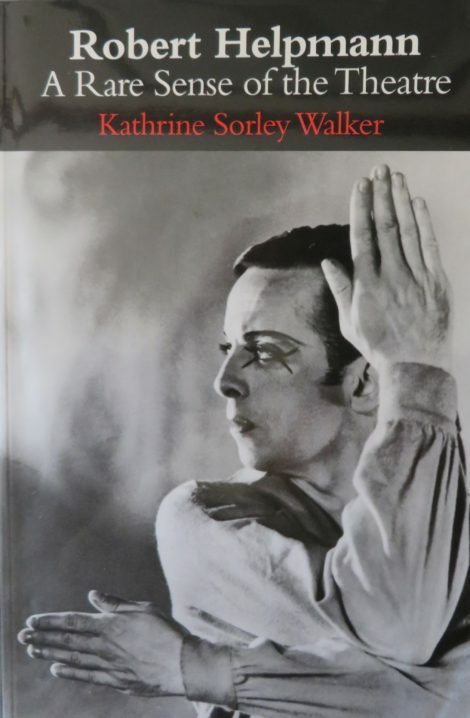 Robert Helpmann: a rare sense of the theatre: Kathrine Sorley Walker (Alton: Dance Books, 2009). Available in Australia from Footprint Books or any good bookseller. Robert Helpmann is a popular subject for biographical and other writing. Apart from the fact that he was clearly a showman both on and off stage making his exploits a source of fascination, he also was quite meticulous about documenting his career. He kept scrapbooks of his early stage and film appearances and, as he became more influential in the theatrical world, gave countless interviews and appeared in many documentaries. There is much material on which to base books, articles and feature pieces. The bibliography and notes to Anna Bemrose’s biography of Helpmann, published in 2008, give some insight into the amount of material that has already been written about Helpmann. Yet writers continue to be drawn to him and his exploits and undoubtedly this situation will persist. Kathrine Sorley Walker’s Robert Helpmann: a rare sense of the theatre is the latest in this line-up of published works. ‘His Don Quixote, in fact, was an interpretation of dignity and power, a very noble portrait. Speaking for myself, I was awed by his controlled action, his vivid quality of stillness. As in Rake [The Rake’s Progress] and Miracle [Miracle in the Gorbals], he brought into play his ability to convey, without any sense of strain, a tremendous emotional effect. This was done by turns of the head, half-movements, the crook of a hand, a light in the eyes, a slight tremor in the muscles of the face. In contrast, a few swift moments of dancing, a wild beating at the bars of an imaginary cage, were immensely telling’. This is wonderful observational writing. ‘The magnificent poetry and true Romantic understanding of the Fonteyn-Helpmann partnership in Giselle has been forgotten in the wake of the eulogies about the Fonteyn-Nureyev partnership. In Act II, the dream-like fluency of the dancing, the supernatural inevitability with which they allowed the drama to unfold were so absorbing that no one would have thought of disturbing the mood by applause until the final curtain. There were neither showpiece moments nor any sense of endeavour, merely an eloquent demonstration of skilfully unified music, dance and mime’. Sorley Walker has also made use of material in her personal collection, as well as material in collections in the United Kingdom not usually quoted or referred to in other writing. So her extracts from an unpublished article by British dance critic A.V. Coton on Helpmann’s theatrical qualities and on his value to the Australian Ballet make interesting reading. So do her comments on an unrealised film production of The Sleeping Beauty largely based on treatment details housed, Sorley Walker records, in the Theatre Museum in London. But the book also has its frustrating elements. Some relate to the way the book has been edited. It is not an enticing book to pick up randomly for a browse prior to a possible purchase. There are 27 chapters and three appendices but none has a distinguishing heading to it. Thus there is no way of knowing by looking at the list of chapters at the beginning of the book what is contained in the text. Would it appeal to someone without a particular interest in Helpmann? Maybe not. Other frustrations relate to the way Sorley Walker has written her reminiscence of Helpmann. The book becomes at times an account of what happened next, which sometimes has the effect of encouraging the reader to skip past some sections looking for more of the informed analysis that is the most satisfying feature of the book. More than occasionally there is also a surfeit of quotations from others. In the space of just over a page of writing on The Merry Widow, for example, there are relatively lengthy quotations from four Australian critics – John Cargher, Jill Sykes (two), Leonard Radic and Neil Jillett (two). I would rather know in more depth what Kathrine Sorley Walker as the author of the book thought, or at least as well as what Cargher, Sykes, Radic and Jillett thought. 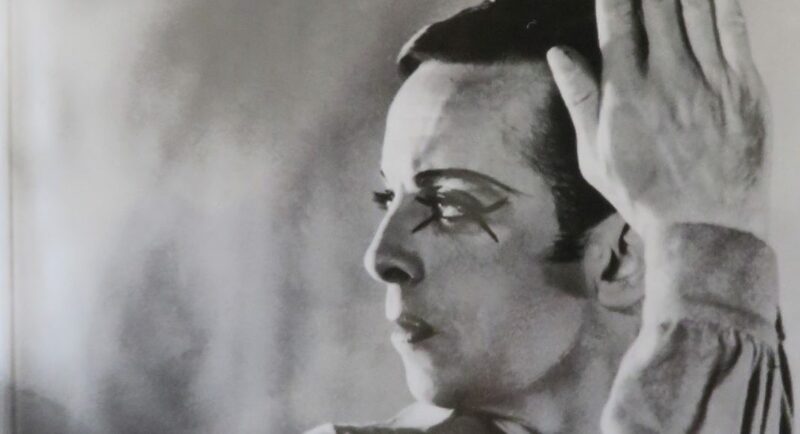 Robert Helpmann: a rare sense of the theatre deals not just with Helpmann’s dance career, which has provided all my examples in this review. In a slim volume of 162 pages of text it also covers his work as an actor on stage and in film and deals with his personal life as well. On this latter point Sorley Walker’s writing includes references to Helpmann’s long-terms relationship with his partner Michael Benthall, to his work and friendship with Katharine Hepburn and to his relations with his Australian family. Dance books rarely make much money for their authors or publishers, although Mao’s last dancer may be a recent exception. The advocacy of Dance Books in persisting in publishing in a difficult field is more than admirable. And the gems that Sorley Walker presents at various intervals throughout Robert Helpmann: a rare sense of the theatre, gems coming from an informed standpoint as a result of having ‘been there’, make the book a worthwhile addition to the personal libraries of those interested in the arts. Featured image: Book cover (detail). Robert Helpmann: a rare sense of the theatre. Note: A review of ‘Mim’: a personal memoir of Marie Rambert, also published recently by Dance Books, will appear on this website shortly. I must confess a personal note : I helped Katherine with the Australian end of her DeBasil Ballet book. Her new Helpmann book certainly has the beauty of making one feel how a performance of his would have looked and felt. She has a terrific knack of observational reporting and a keen sense of historical context. I found it a much more engrossing read than the recent dry Australian bio by Anna Bemrose. Adrian, I am in the throes (still) of going through older posts to bring them up to date and into line with the redesigned website. Your comment about Kathrine Sorley Walker is wonderful and I am sorry I didn’t make a comment earlier! You are absolutely right: there are so few critics/writers who are able to write as she did, that is with a strong background and an ability to put us in the picture as if we were there in the audience.